Ask fellow campers about "Manzanita Lake (NPS Campground)" and nearby attractions. When we reserved our site we entered the size of our RV and selected from the sites provided. We chose a pull-through arc shaped site & found that because of the shape and the trees we could not get into it from the proper direction off the one-way road. Had to make a quick trip the wrong way round to pull in. Even that was tight because of the trees and shape of the arc. But it had the advantage of putting our door on the picnic table side rather than the road. There is water in the campground, a dump station, and showers in season. The campground is in the forest and quite lovely and quiet. We camped at Manzanita Lake (NPS Campground) in a Fifth Wheel. 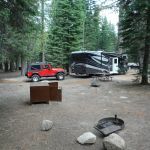 This is a beautiful campground at the northwest entrance to Lassen Volcanic National Park. The campsites are spaced out fairly well and most are shaded under the pines. Quite a few longer back-in and some pull-through sites to fit a variety of rigs. We stayed in site B48 with our 24' fifth wheel and there was still plenty of room to park our truck alongside. There are also some newer, clean camping cabins that you can stay in if you don't want to do the full-on camping experience. We appreciated how quiet this campground is, as it is not close to any major roads and campers are spaced far enough apart to not make too much noise. They also hand-empty the garbage bins so there isn't the racket of garbage trucks in the morning (something Yosemite is notorious for!). The camp hosts and rangers were also kind and helpful. The highlight of this campground is the gorgeous little lake that is within walking distance. 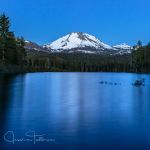 The views of Mount Lassen and the Chaos Crags from the Northwest end of the lake are absolutely breathtaking. We saw a bald eagle flying, fish jumping, and heard many birds singing as we leisurely hiked around the lake. Next time we will bring our kayak and paddle out on it to watch the sunset from the water. Added bonus: a camp store that sells basic camp necessities, tasteful souvenirs, and ice cream! We camp at A LOT of state and national park campgrounds, and Manzanita Lake CG is now one of our new favorites. We will definitely be back! We camped at Manzanita Lake (NPS Campground) in a Fifth Wheel. Walk or kayak Manzanita Lake at sunset and watch the mountains change from gold to pink to blue as the light fades from the sky. Breathtaking! The hike to the Kings Creek Falls. Make sure you go all the way to the observation deck. 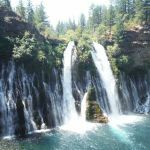 Some people thought the first falls were King Falls. The trip back is worth it up the steps. Beautiful and amazing! Manzanita Lake is a short walk from the campsites. There's a Ranger Station and Visitor Center just outside the CG. The Lassen Volcanic NP scenic drive is pretty. There's much hiking in the NP. Lassen is great with lots of hiking. 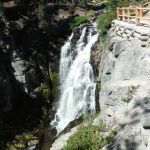 See Bumpass Hell and at least one waterfall, and if you are in good shape, to the top of Lassen Peak. It is "volcanic" park as there are lots of volcanic features including the 4 types of volcanoes. Fascinating scenery. Are you affiliated with Manzanita Lake (NPS Campground) ?